Following revelations that ISIS torturer joined George Galloway's 2009 convoy, new report shows he wasn't the only terrorist aboard. 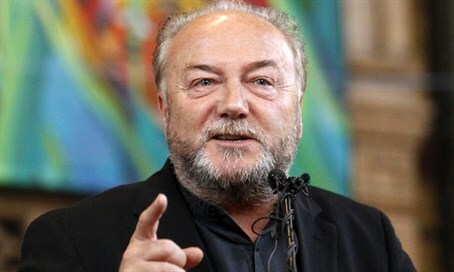 A brutal ISIS torturer wasn't the only jihadist terrorist who traveled with former British MP George Galloway to Gaza, it has been revealed. According to a recent report, Alexander Kotey left the UK on Galloway's "Viva Palestina" convoy to Gaza in 2009, and from there eventually made his way to Syria to join the Islamic State terror group. The 32-year-old Muslim convert was recently unmasked, along with 31-year-old Aine Davis, as among a group of four British ISIS "jailers" who held western hostages and tortured them brutally, before some were executed by fellow Briton Mohammed Emwazi, a.k.a "Jihadi John. "But he was not alone. As many as eight Muslim extremists who would later be convicted of or involved in terrorist activities joined the convoy, according to The Times. Among them were Amin Addala and Reza Afsharzadegan, both known associates of Emwazi from west London; and Stephen Gray, a former member of the Royal Air Force who attempted to join ISIS. The list of extremists who traveled with Galloway also includes a member of the Taliban and former Guantanamo Bay detainee, Jamal al-Harith. Al-Harith was released from Guantanamo in 2004, and more recently joined ISIS in Syria. Two other extremists on the convoy have not been named. Galloway - who is standing as a candidate in the London mayoral elections - responded to the growing controversy by saying he did not remember Kotey. His PR team meanwhile have reacted to the growing controversy by claiming that the British security services, not Galloway or his organization, were to blame for the inclusion of jihadists in his convoy. A spokesman for Galloway told The Times: "If anything this is a failure on the part of the security services. This was a high-profile event."